S Trap offered comprises flawlessly designed and sturdy constructed bathroom accessory that works as a trap so as to hold back little water which prevents backflow of sewer smell in the bath areas. 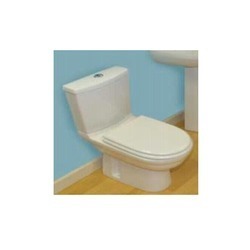 Further, these quality ceramic European water closets are developed using pure ceramic construction options. Some of its features include choice of different sizes and types, provide for distinct advantages over standard toilet traps, sleek, seamless construction. Flushing Mechanism offeredis developed using latest research and technical support so as to ensure flawless performance for years to come. Backed by our rich experience in the area of toilet fittings manufacturing, we ensure these quality finished flushing mechanism provides for smooth usage. Some of its features include choice of dual flush valve, adjustable fill valve, push button and other support components, adjustable bottom fill valve, designed to hold water line even in variation of water pressure, coming with different water pressure variations, allows adjusting heights from 200-300mm, full and half flush valve choices, option of adjusting height of overflow pipe and others. 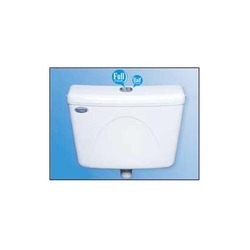 We are one of the leading flushing mechanisms suppliers & merchant exporters from India. 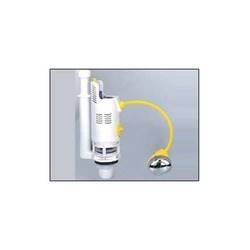 We have voluminous experience in the field of different types of flushing mechanisms. You would be wondered to know that all types of flushing mechanisms are available with us at the most reasonable price. Plastic Cistern offeredfeature quality construction and design finish and provides support as an affordable option for bathrooms. 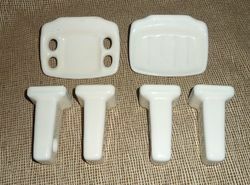 Further, these also provide for optimum installation flexibility support and allow direct fixing to the walls. Some of its features include allows for flexible pan set out, allows easy and convenient fixed to walls, attractive cistern finish, supplied with two flush pipes and fitting support, options for low level and mid-level installation, suiting wide range of existing installations, left/right hand water inlet choice and others. 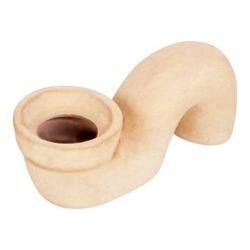 Owing to our reputation in the industry for optimum quality, we are involved in offering a wide range of Ceramic Bathroom Accessory to our valuable clients. 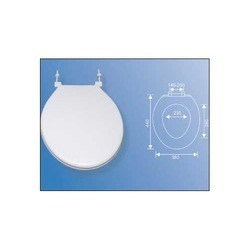 We are involved in supplying a wide range of Messalina Toilet Seat Cover. It is available with us in diverse colors, designs, sizes and shapes. The customers can avail a modified range, made according to their specified details at a very reasonable price. This item is highly praised by our consumers for its durability. 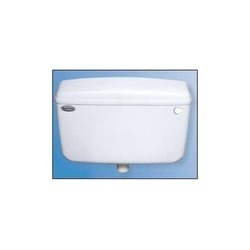 We are among the reputed organizations, engaged in offering our clients with Plastic Cistern. All these products are designed and developed using premium raw material and latest technology, at our vendors' end. Moreover, we have the capability to provide customized packaging for all the products as per the demands of customers. Looking for Ceramic Bathroom Accessories ?